LAHORE: Pakistan Muslim League-Nawaz (PML-N) MPA-elect Zaibunnisa on Wednesday was barred from bringing a portrait of party supremo Nawaz Sharif into the Punjab Assembly. 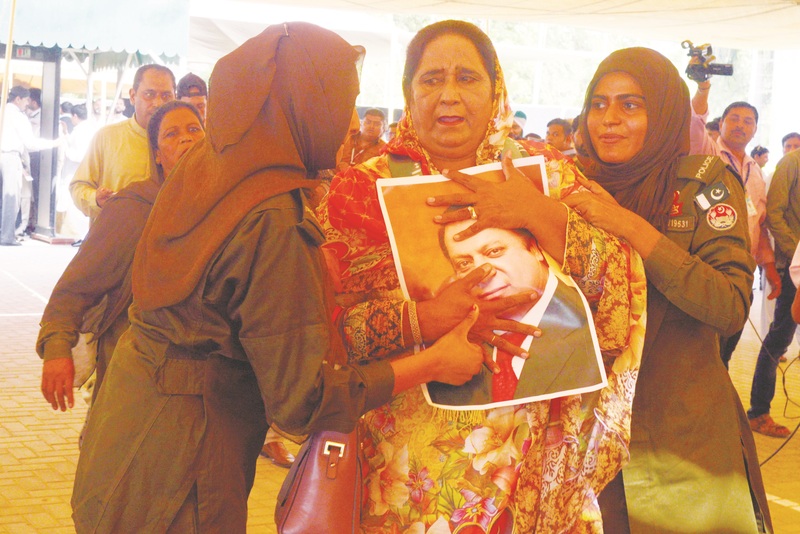 As per media reports, security personnel deployed outside the assembly building stopped Zaibunnisa from carrying Nawaz’s portrait when she arrived to participate in the oath-taking ceremony. Expressing annoyance, Zaibunnisa, while speaking to media representatives, said that she wanted to take the picture of her leader in the house as it was because of him that she reached the parliament. “Even if my success notification is struck off, I will take not let go of my leader’s picture,” she said.